If you own a vacation property or second home you want to make sure your investment stays safe when you are not around. 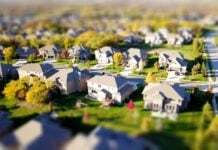 Most likely you only use your vacation home for a small portion of the year, and whether you rent it out as an income stream or not, your property is vulnerable to theft when no one is there. Use these seven vacation home security tips to make sure your second home is as secure as possible regardless of where you are. One of the best security measures you can take is to install a vacation home security system. Choose a security system which allows remote monitoring so you can check on your property 24/7 from wherever you. In addition, look for security cameras with night vision and infrared heat detection to ensure any alerts you receive are accurate. 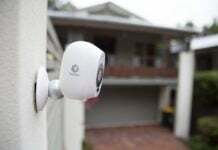 Investing in a vacation home security camera system is affordable and easy especially with wire-free smart security cameras. However, make sure you choose a security system that fits your property size and location. 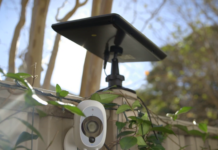 For example, an apartment may need one or two strategically placed security cameras whereas a vacation home on a few acres may require a full PoE security system with a mix of indoor and outdoor security cameras. 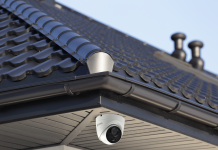 Note, although it’s perfectly legal to install security cameras on your vacation property, we recommend you are aware of any state-specific laws, especially if you are renting it to others. Another great way to keep an eye on your vacation property is to install a smart video doorbell. 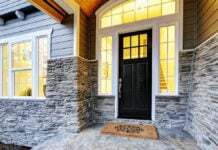 These doorbells are an inexpensive upgrade and with two-way audio, you can not only see who’s coming to your door but also speak to guests and delivery people. 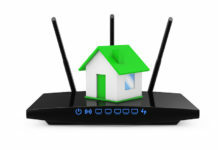 Although this goes without saying, all access points to your home should be as secure as possible. Depending on when your second home was built, you may also want to consider upgrading your door locks to modern locks that are more difficult to break into and unlock. In addition, you can install door or window security alarms. Simply put: if a home looks occupied, most intruders and burglars will stay away. As you can’t be at your vacation home 24/7, employ a trusted local company to help keep up your home. Maintenance is as simple as mowing the lawn, trimming hedges, bushes, and trees, etc. Not only will your second home look lived in but regular maintenance will eliminate any potential blind or hiding spots for burglars in overgrown hedges. Keeping a house illuminated can often help deter intruders. 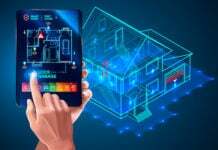 Thanks to smart home technology, you can install smart lights to automate turning lights on and off. You can install motion lights, use timers, and add lighting to darker areas of your property to help ward off intruders. Use lighting to make it look like someone lives in your second home year round. Knowing your neighbors, especially those who live nearby year-round, can go a long way toward keeping your property secure. If you know your neighbors, they can help keep an eye on your home when you’re not there and can notify you if they notice any suspicious activity. They can sometimes be the ones who help with making your home appear as if it is lived in as well. Another vacation home security tip that goes without saying, but avoid leaving spare keys on your property. Although this makes it easier to grant access to guests or maintenance people, it makes it easy for an intruder to break in should find the spare keys. 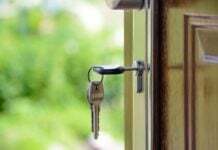 Keep any extra keys to the vacation home with you or leave a spare with the person doing the maintenance or a trusted neighbor. These vacation home security tips can help keep your second home safe and secure when you are away. Whether your vacation property is your escape and another income stream, sit back and enjoy the peace of mind knowing you’ve done all you can to protect your vacation home. 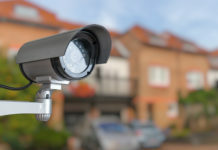 Get started with your vacation home security by using the home security checklist to determine your surveillance priorities.